Emirates UK promotion code 2019 - 5% discount all flights! KLM flights from Switzerland to Kuala Lumpur from €348! Premium airline Emirates UK has just launched brand new Emirates UK promotion code 2019. In this case for a flights when departing from main airports in UK to selected Worldwide destination. Look for flights departing from London, Manchester, Birmingham, Newcastle or Glasgow. You may easily save some decent money just by filling in below mentioned Emirates UK promotional code during booking process. Your air freight fare will be then instantly discounted and you can proceed with your booking till payment. This Emirates UK discount code applies 5% off your booking. Discounted amount is calculated off base fare. (excluding taxes). This newest Emirates promo code works only on selected routes to Dubai, Australia (Melbourne, Sydney, Perth, Brisbane). New Zealand, Bangkok, Phuket, Colombo, Mauritius, Cape Town or Singapore. Firstly it is not that simple to enter Emirates discount code as there is no box at main page. You need to click on “Advanced search: Multi city, promo codes, partner airlines” button. (See sreenshot below). Once there you will find separate box to enter Emirates promo code. To get 5% discount off your flight booking through Emirates simply click on below link to reveal latest promo code. Then you select your flight connection and travel dates just proceed to next step. Once there and you select your actual Emirates flight your total fare will automatically get 5% discount. (Again its off base fare only, not including taxes). Also you may check latest Emirates promotional deals here. Once you enter this currently working Emirates voucher code you will instantly get confirmation that the code is available. If you can see below mark you will easily save some decent money and fly cheaper on your next Emirates flight. Simply proceed to next step and all eligible booking tariffs will be highlighted by “golden icon”. (See our sample of successfully applies Emirates promo code at the bottom of this post). 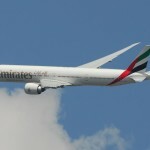 To book your flight using this promotional code with Emirates discount code 2019 you have to choose ong haul flights that operate Emirates carrier. (no code share flights). The value of the promotion will automatically reduce the net flight fare (excluding taxes and surcharges). Again this Emirates UK promotional offer is only valid for flights when departing from main airports in UK. and when booking directly with the airline. You can use this Emirates discount code for all bookings till 30th of April 2019 for flights departing from March to December 2019. To take the advantage of this Emirates UK discount code. or in case of to read full conditions of this promotion please visit Emirates website directly. Also you can save some decent money with Emirates when departing from Germany. Please check this post about latest promotion code. Below you can find working booking sample through Emirates UK voucher. using this promotional code easily saving £26 off total airfare. In this case you will fly from London to Sydney on 24th of May. You will return from Australia back to the United Kingdom on 3rd of June 2019. Enjoy your discounted flights on board of top ranked Emirates!